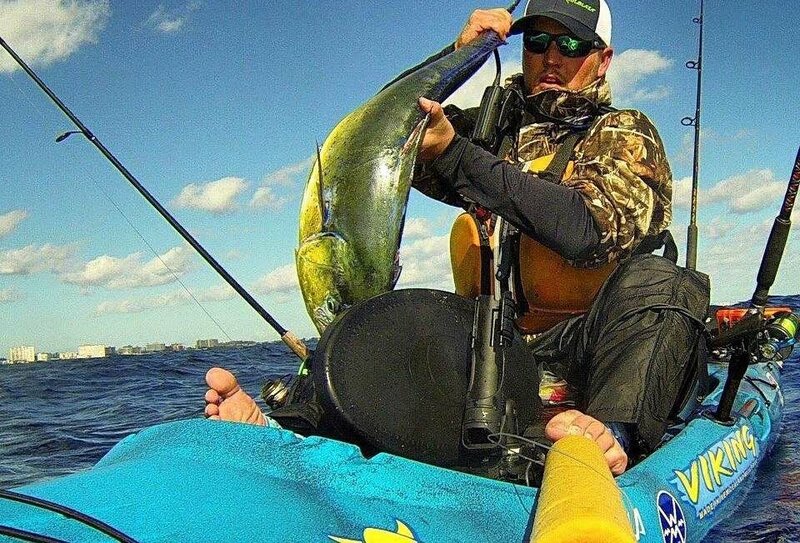 A SAN DIEGO CALIFORNIA NATIVE AND CERTIFIED FISH AND GAME IFGA LICENSED GUIDE, JIM IS RECOGNIZED WORLDWIDE AS A PIONEER IN THE SPORT OF KAYAK FISHING. "I LIKE THE REELS BECAUSE THEY ARE MADE IN AMERICA AND SIMPLE TO WORK ON. I'M ALWAYS TEARING APART MY REELS TO MAINTAIN THEM. THEY'VE ELIMINATED A LOT OF PARTS FOR SIMPLE CONSTRUCTION. IT'S SIMPLE, BUT TOUGH." INVOLVED IN THE SPORT OF KAYAK FISHING FOR OVER TWENTY YEARS HE OWNS AND RUNS LA JOLLA KAYAK FISHING ADVENTURES AND EAST CAPE KAYAK FISHING GUIDE SERVICES. JIM HAS WORKED CLOSELY WITH KAYAK MANUFACTURERS ON THE DEVELOPMENT OF NEW KAYAK DESIGNS AND WITH VARIOUS FISHING TACKLE AND KAYAK ACCESSORY COMPANIES. NEW ZEALAND, COSTA RICA, CURAÇAO, BELIZE, BAHAMAS, BAJA, CALIFORNIA, AND FLORIDA. A fresh style of fishing show featuring jaw-dropping action in stunning locations. Every episode follows host Jim Sammons as he travels the world with his kayak, on the hunt for the biggest and most challenging game fish. This season Jim explores New Zealand, Costa Rica, Curacao, Belize, Bahamas, Baja, California, and Florida. Kayak Fishing Tales is the web's premier source for kayak fishing content, including valuable tips, techniques, gear reviews and mind blowing kayak fishing action. Follow Jim Sammons as he travels the world with his Jackson Kayak, on the hunt for monster fish.